The French Fringe Braid: This is a super, sophisticated style, which forms a flattering frame around the face highlighting the forehead. From a side parting, the hair is brushed smoothly over the top to produce an attractive asymmetry and the sides are styled smooth and straight, with an attractive casual flick upwards at the ends. From the side parting, the fringe and front hair sections were French-braided to form a beautiful band following the hairline around the forehead to the other side of the head. The braid was tucked away behind the model’s ear and a small section hair was pulled down to casually finish off this simple but elegant look! This is a really cute quick and easy way to get your bangs out of your face on a hot day. 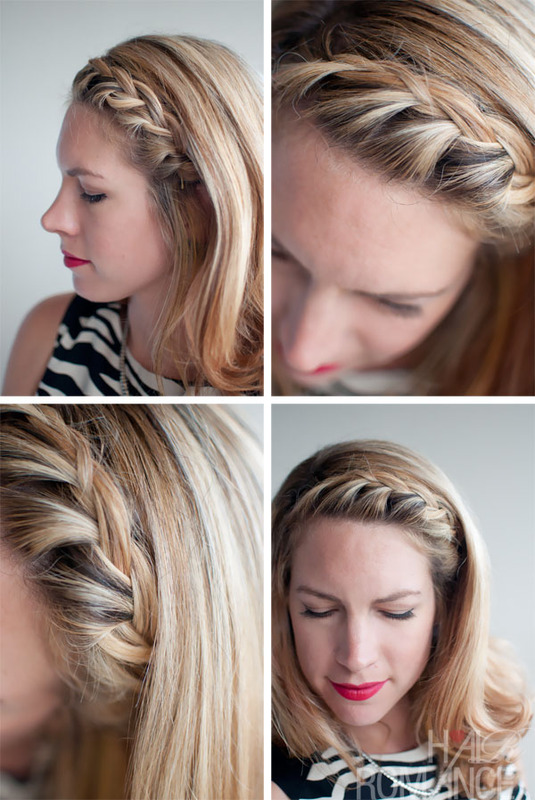 Do you want to know how to french braid your own hair? There are many ways to french braid bangs to the side, and you can find out the tutorial in this exciting ebook 30 Braids in 30 Days. 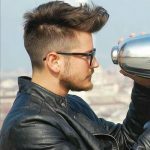 This cool hair style book has 80 pages of all tips, tricks, cheats and techniques at your fingertips. Inside you’ll also find the how-to instructions to the essential braids of this series such as the Dutch braid hairstyle, Waterfall braid hairstyles, Classic braids, French braids, Fishtail braid and the Hair Romance signature Twist & Pin technique. Check it out here. previous post Chic, Multi-Textured & Vivacious – Curly Short Cut!